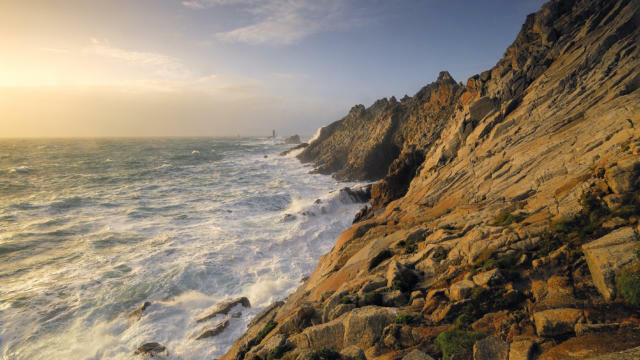 Swept by the winds and waves, the Pointe du Raz is covered by wild moorland. 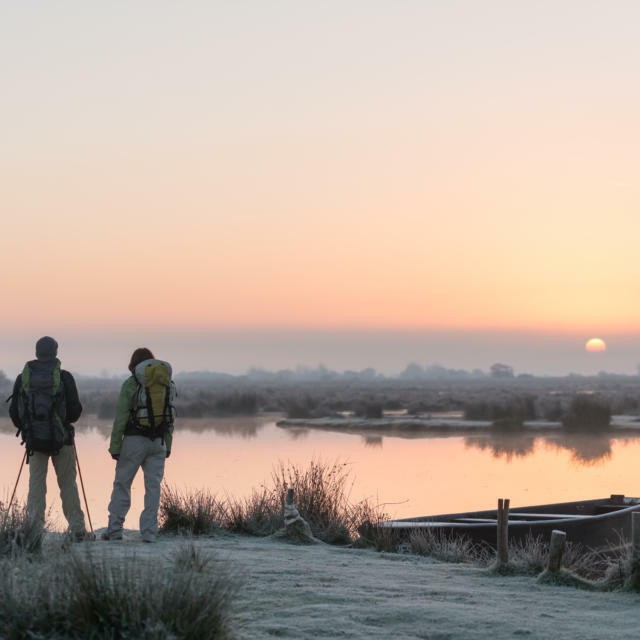 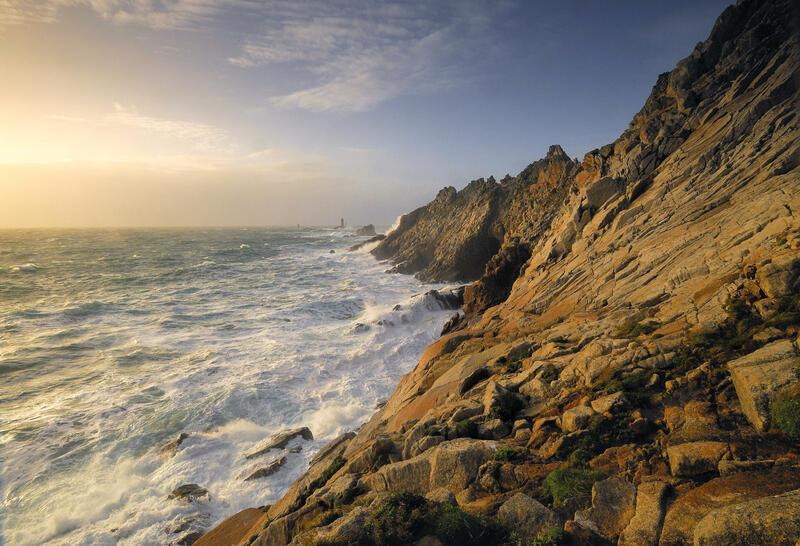 Its cliffs rise to a height of 70 m and offer impressive panoramic views. 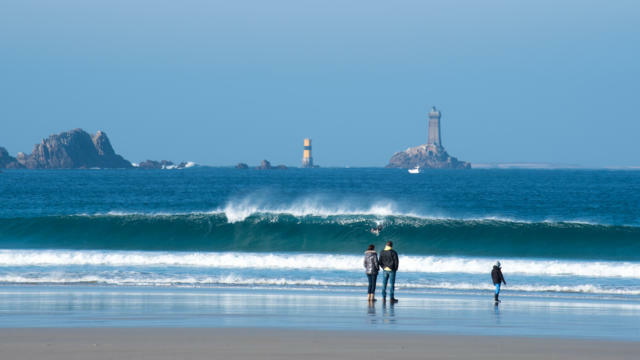 You’ll be able to see the île de Sein and the square lighthouse known as ‘La Vieille’ (‘The Old Lady’), and, on a clear day, the legendary lighthouse of Ar Men. 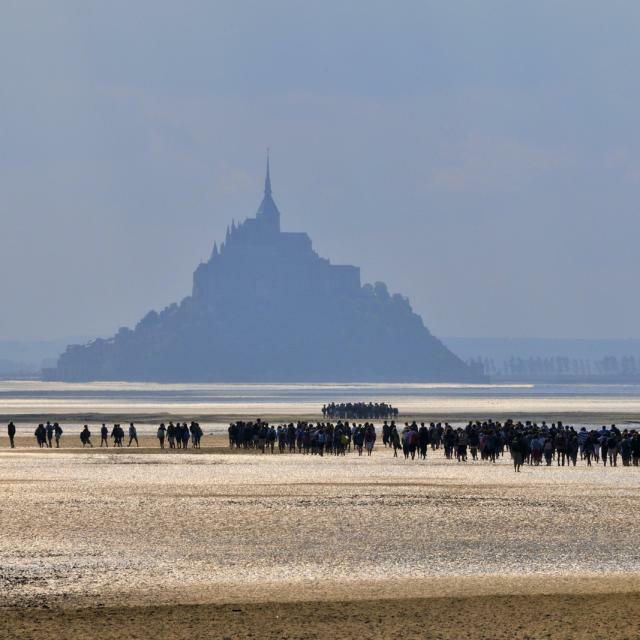 On a stormy day, when the elements are unleashed, it’s an awesome sight! 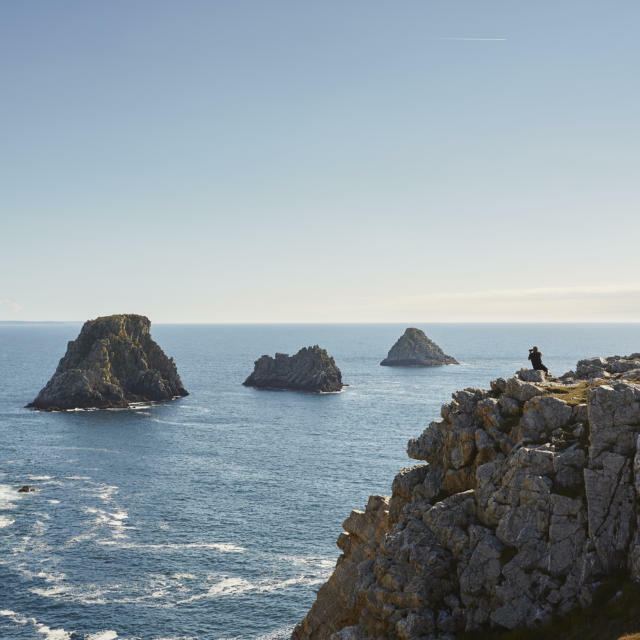 Not far away is the Pointe du Van headland, less well-known but just as beautiful as its big sister, and well worth visiting. 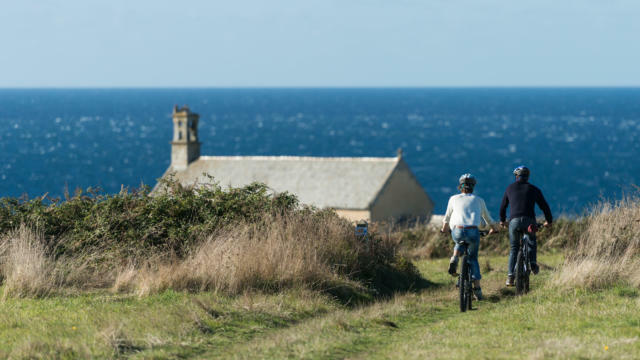 Take a look round Saint They Chapel, a little building with a roof so low that it looks as if it’s part of the cliff. 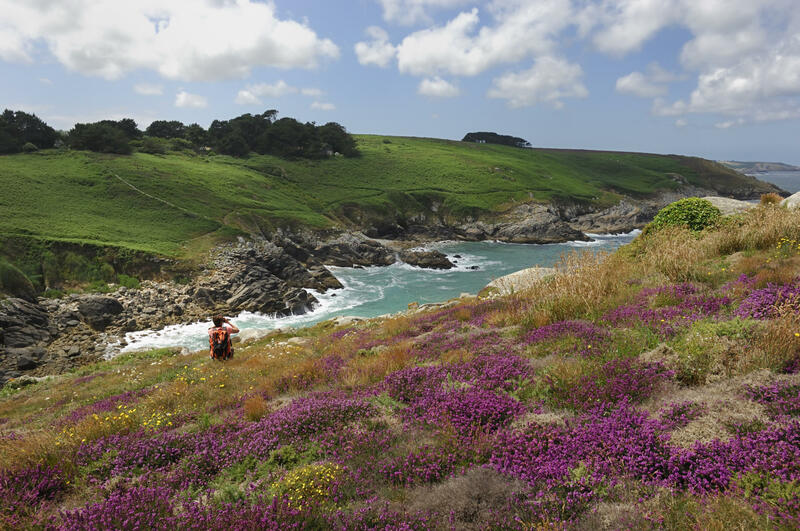 This turbulent landscape is ideal for the thousands of birds that gather in Cap Sizun Bird Reserve, one of the most remarkable in Brittany. 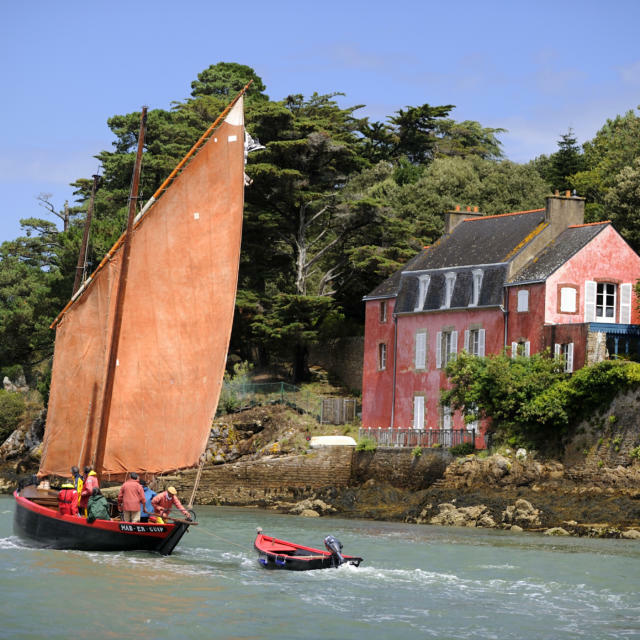 Other must-see attractions include the Bigouden area with its pretty little fishing ports such as Loctudy, Lesconil and Saint-Guénolé. 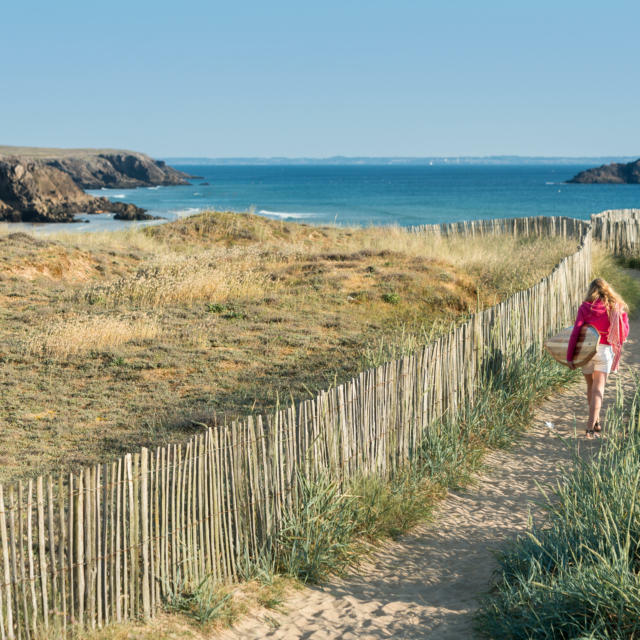 A loop of the legendary GR 34 coast path, starting from Douarnenez, allows you to walk all around the Cap Sizun headland, in one week. 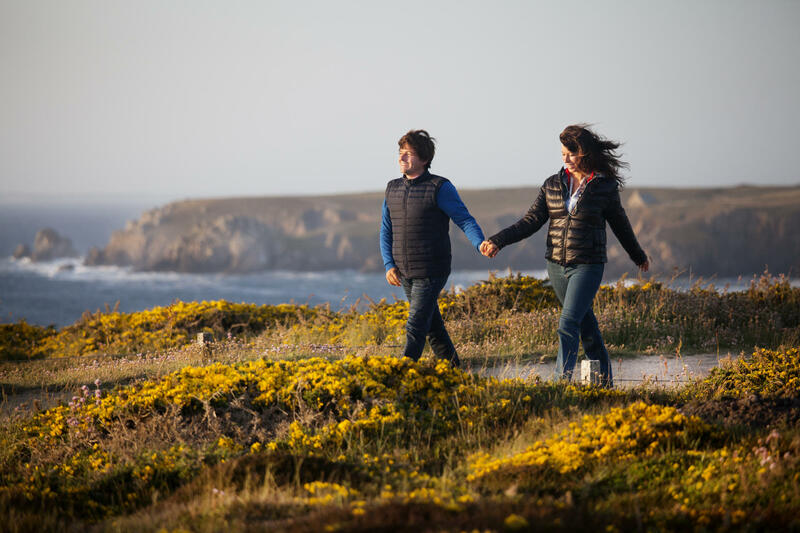 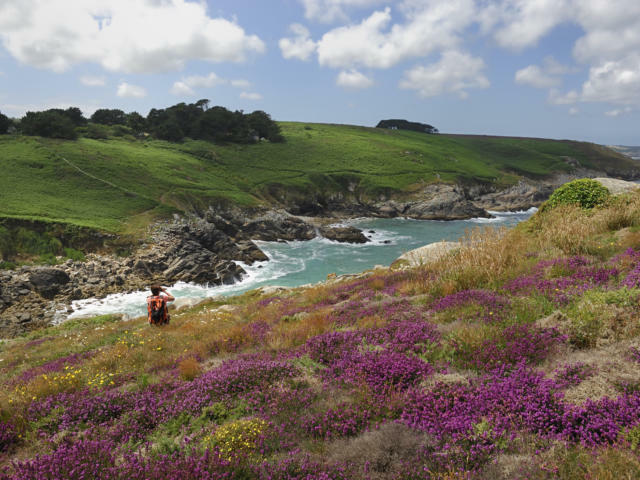 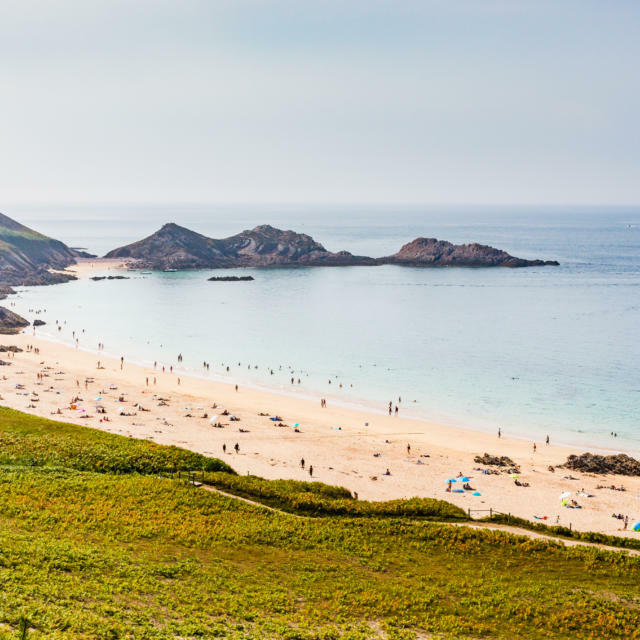 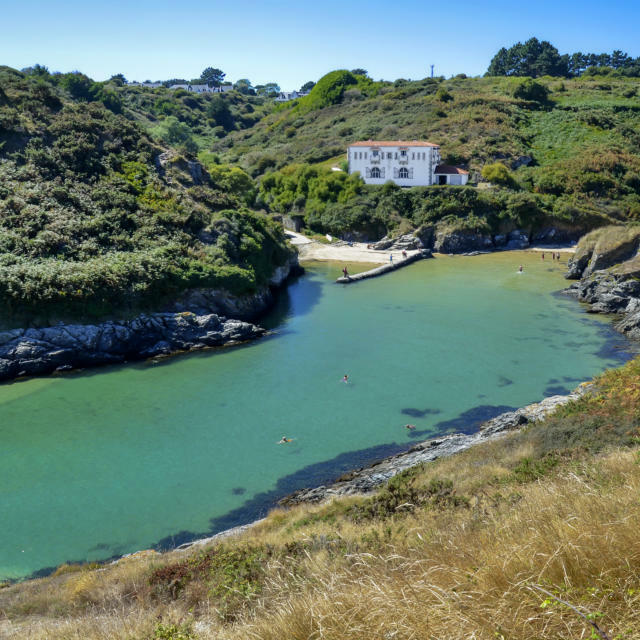 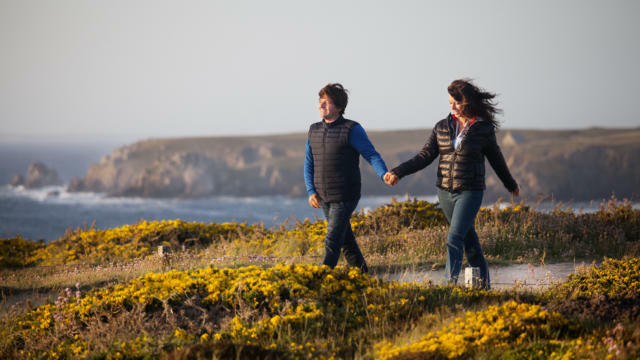 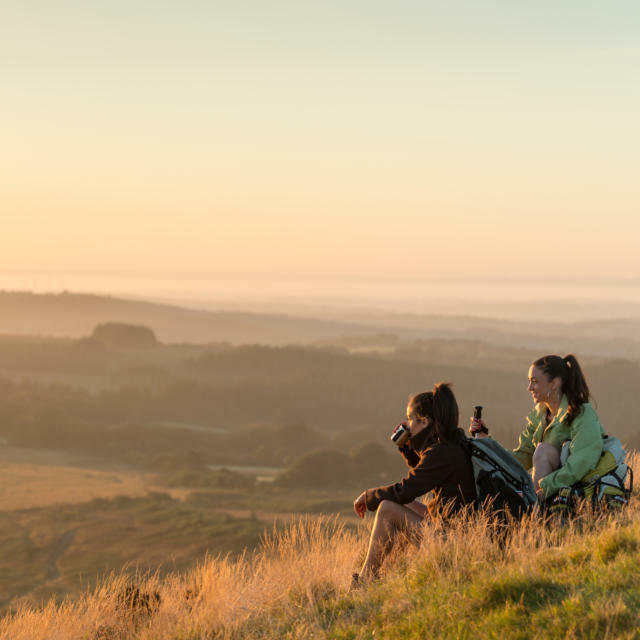 Douarnenez Bay, the Pointe du Raz, Audierne Bay, the Goyen Valley: you’ll be amazed by the variety of scenery and the viewpoints this trail has to offer. 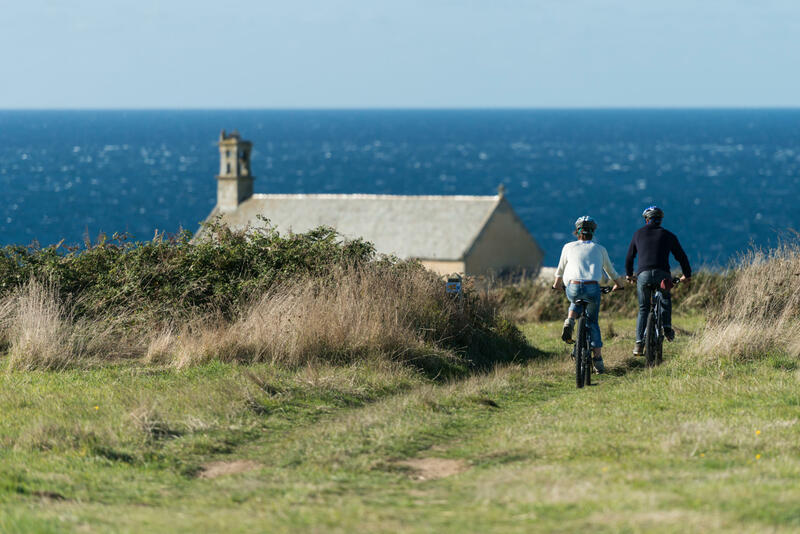 Thanks to the extensive network of bike routes, along safe, varied minor roads, you can cycle along at the edge of land and sea. 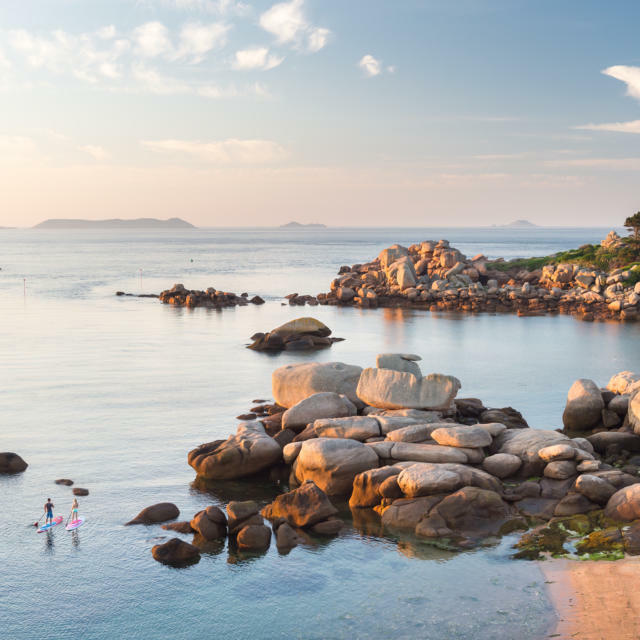 If you’re a watersports fan, head for Fouesnant, or go out on the limpid waters around the Glénan archipelago. 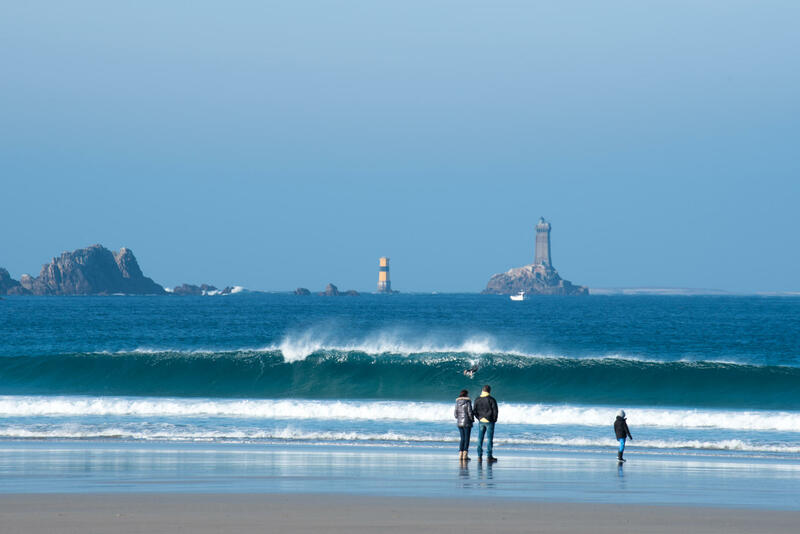 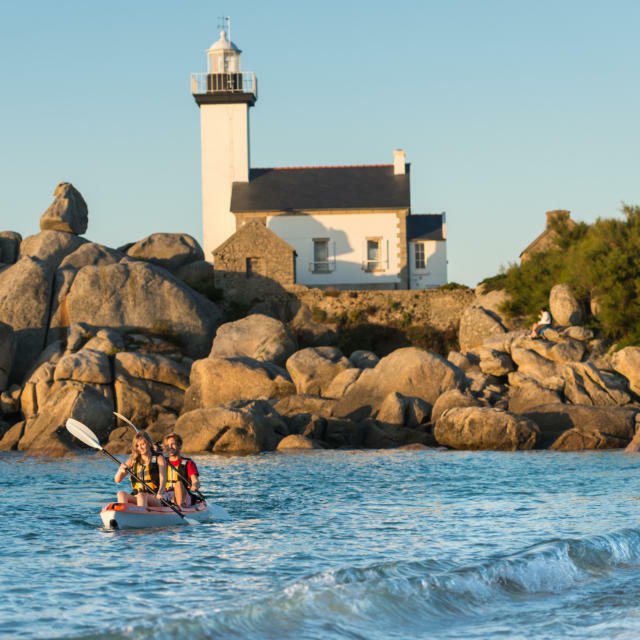 Other ‘musts’ include taking a kayak trip round the Pointe du Raz headland, and a stand-up paddleboard trip on the Odet River. 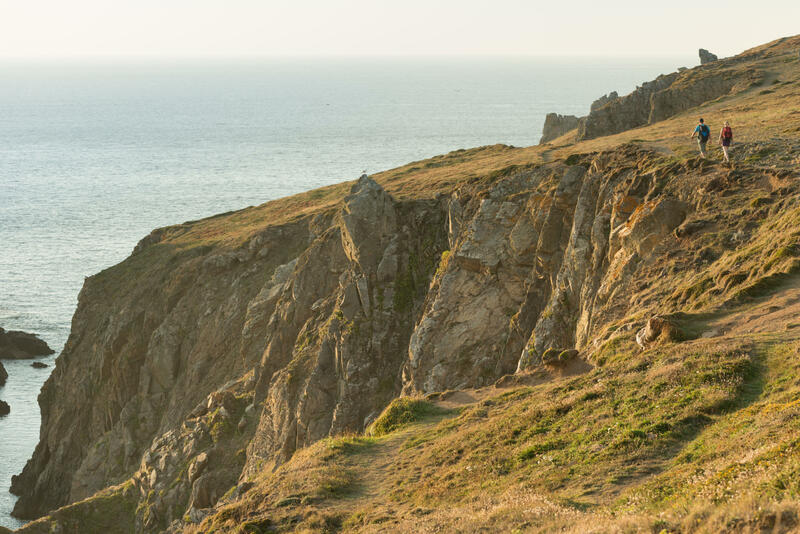 The programme on offer for horse riders is every bit as good: can you imagine anything better than riding to the end of the world?